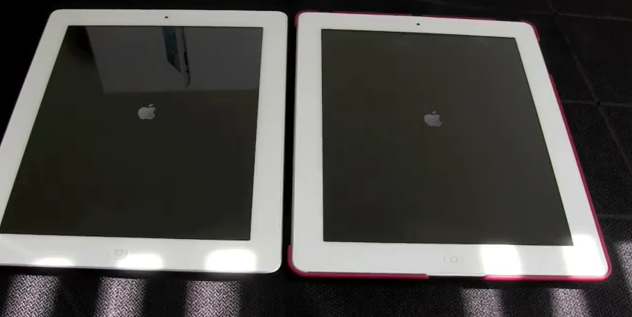 Which Boots Up Quicker, the iPad 3rd Generation or the iPad 2? Earlier today, I uploaded a video demonstrating the boot up speeds between the new iPad and the iPad 2, and I was quite surprised at the results. Both devices were freshly restored so that there were to advantages or disadvantages to either device and they were also running the same firmware, iOS 5.1. Watch the video below to see the results. The iPad 2 could be faster at booting up because all of the icons and everything are quadrupled in resolution and that takes up more space. That is just a logical theory but let me know what you think in the comments.